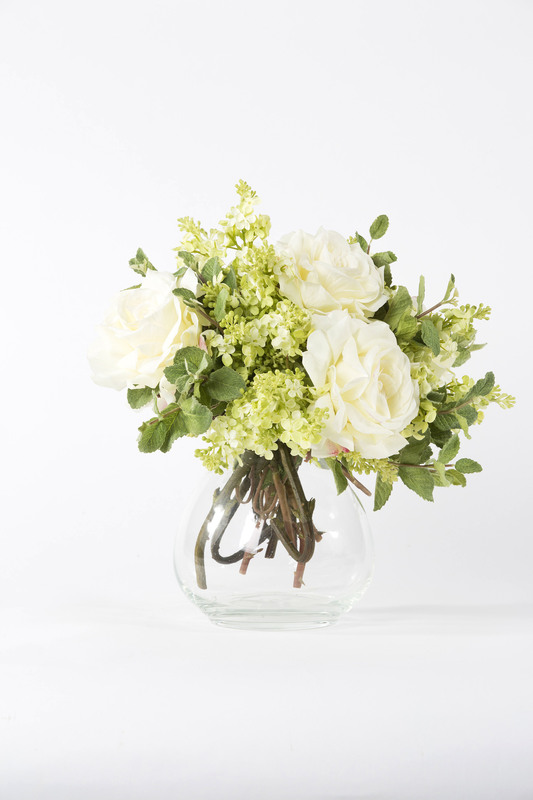 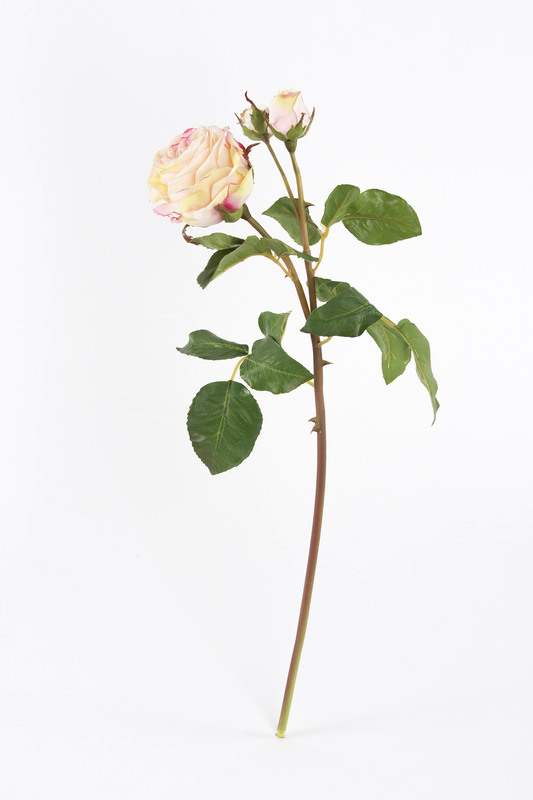 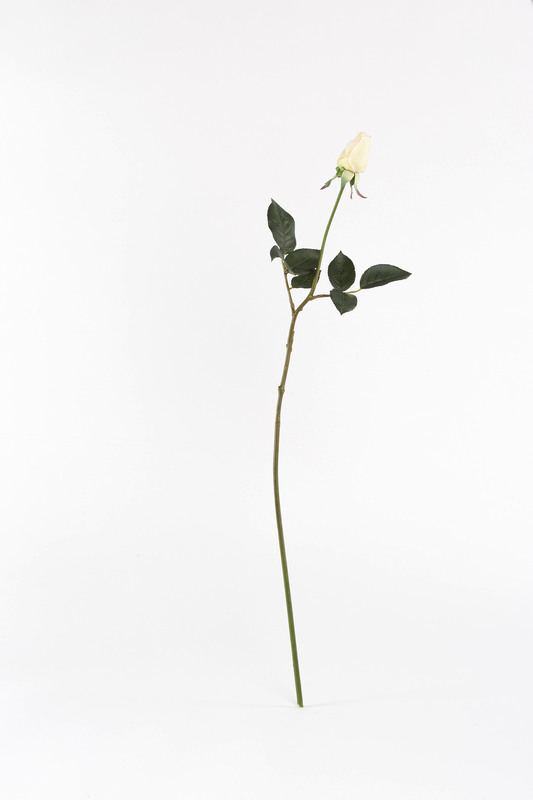 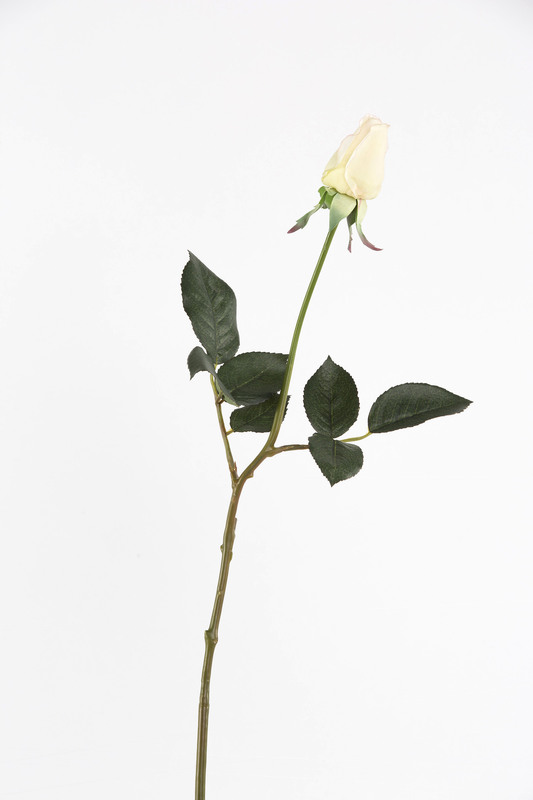 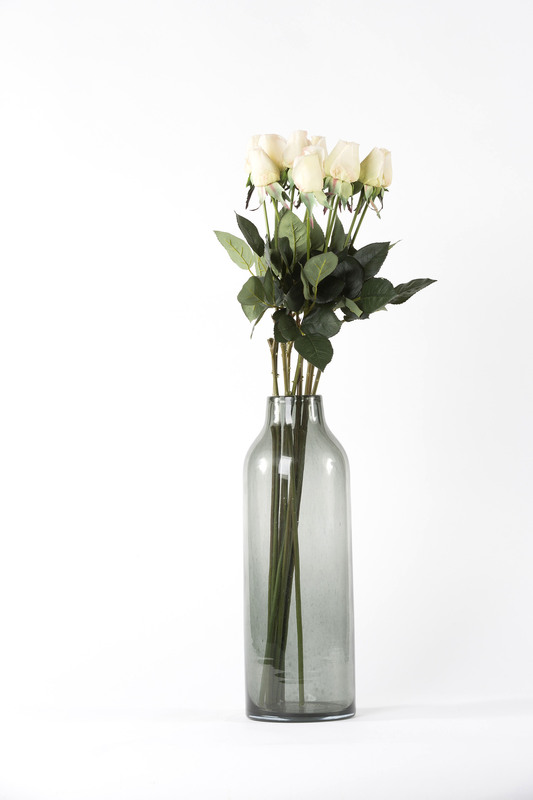 A long stemmed cream white faux rose with two dark leaves. 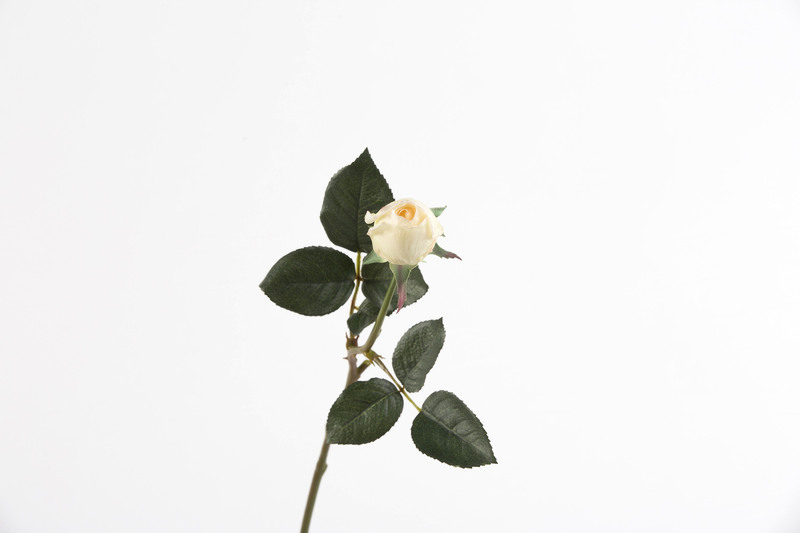 Created in the budding stage of the flower. 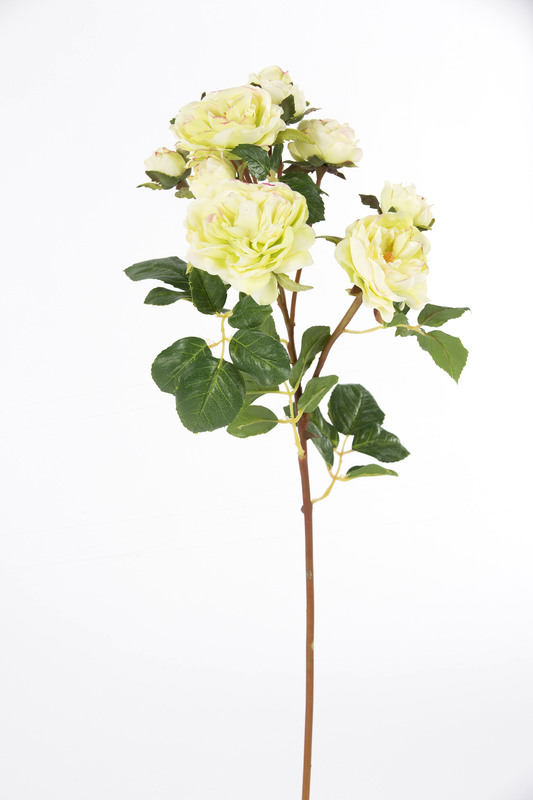 A refreshing stem to the fully bloomed varieties. 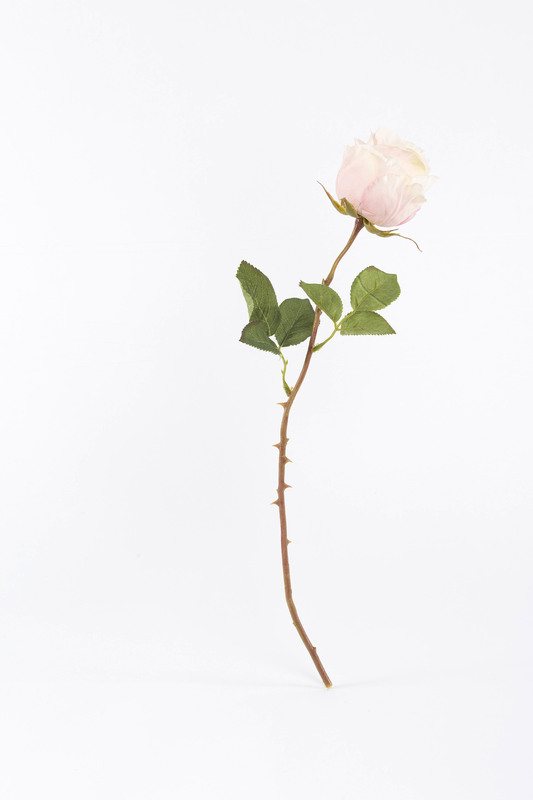 We also have a pink version please check out our stem collection.